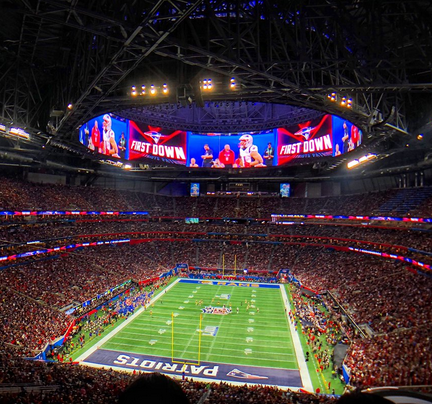 Normally when a new professional sports franchise comes to town or opens a new venue, preparations move into overdrive pretty quickly — especially for infrastructure like luxury suites, Wi-Fi and DAS. But this is the Los Angeles Rams, and nothing about the team’s trajectory is normal, including the technology. 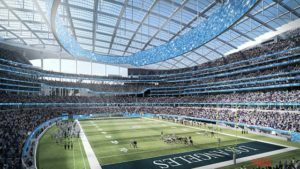 So after making good on a longstanding threat to move the team from St. Louis, owner Stan Kroenke in January broke ground on a new, $2.6 billion “NFL Disneyland” venue in the LA suburb of Inglewood. 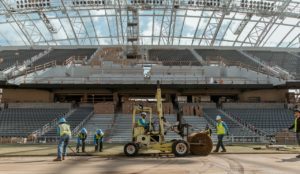 It’s expected to be ready in time for the 2019 season. 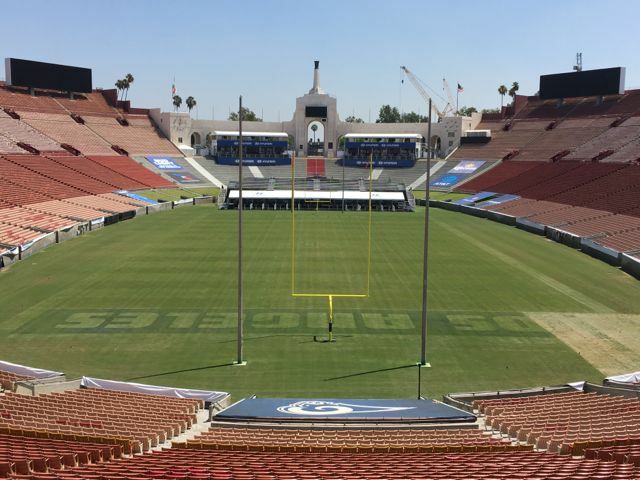 So for right now, the returning Rams will play at the Los Angeles Coliseum. While it has an established and robust DAS system, the Coliseum has no dedicated, fan-facing Wi-Fi network, just as the Edward Jones Dome in St. Louis didn’t. But it’s LA, baby. Kanye. Jack. Celebrity sightings means more bandwidth is needed, not less. 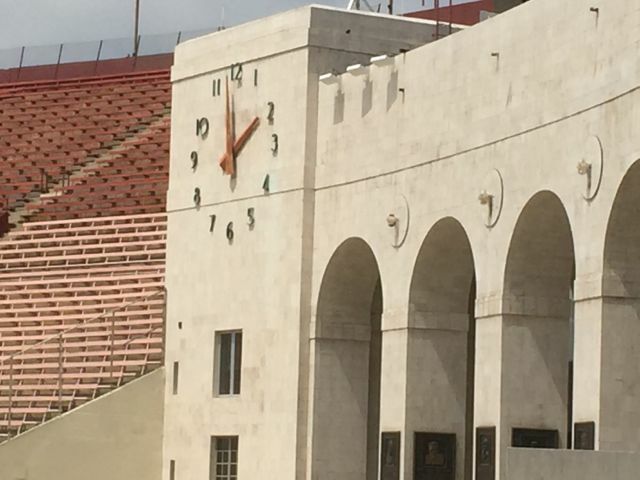 But the first appearance of Wi-Fi at the venerable Coliseum won’t be for fans, but for operations. 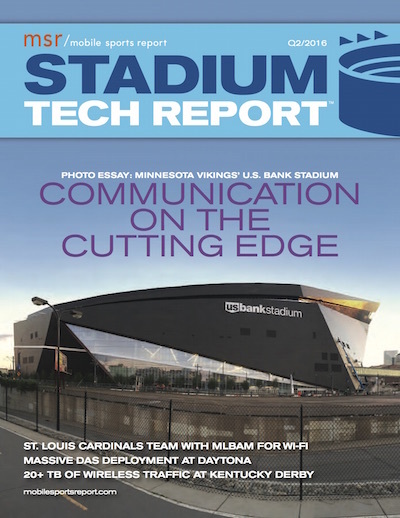 Editor’s note: This profile is from our most recent STADIUM TECH REPORT, the Q2 issue which contains a feature story on Wi-Fi analytics, and a sneak peek of the Minnesota Vikings’ new US Bank Stadium. DOWNLOAD YOUR FREE COPY today! 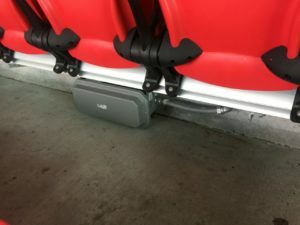 So when the Rams play their first pre-season game at the Coliseum in August against the Dallas Cowboys, fans will have to rely on the DAS network for connectivity. AT&T, Verizon Wireless and more recently T-Mobile, are the DAS carriers; Sprint trucks in a COW for USC games. The Rams will bring in their own Wi-Fi for communications to and from the sidelines, along with their Microsoft Surface tablets, according to Derek Thatcher, IT manager at the Coliseum and an employee of USC, which oversees and administers the venue for Los Angeles County. 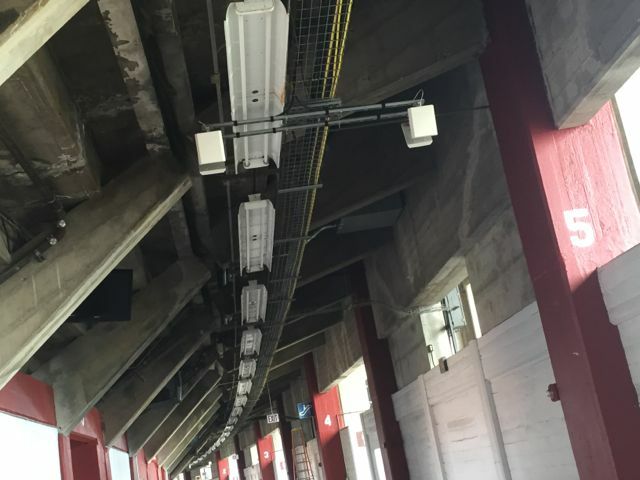 There will also be private Wi-Fi in the locker rooms and the officiating rooms. Thatcher’s working closely with the Rams and the NFL, including one of the NFL’s frequency coordinators, to ensure everybody has the bandwidth they need. 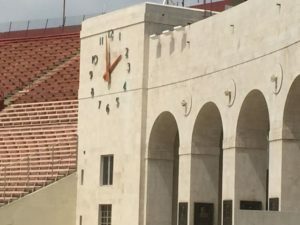 Separate from the Rams and the NFL, USC is undertaking a major renovation of the Coliseum, home to the university’s storied football team. The $270 million project cost will be funded entirely by USC Athletics from capital gifts, sponsorship revenue, non-USC athletic events at the Coliseum, and donor naming opportunities. “The project will not require any student fees or general university, local, state or federal funds,” the university said on ColiseumRenovation.com. In addition to significant expansion of luxury suites and press box facilities (which houses most the IT and networking gear for the Coliseum), USC will also be adding public Wi-Fi and is talking with different vendors about their requirements. It is worth noting that Aruba Networks provides wireless networking for most of the adjacent USC campus (more than 5,000 APs), including the Galen Center and USC’s healthcare facilities. Thatcher emphasized the bidding was open to all vendors. The renovation is scheduled to begin right after USC’s 2017 football season ends and is expected to be done in time for the 2019 opener. The university said it will plan the construction schedule so that 2018 season can still be played at the Coliseum. 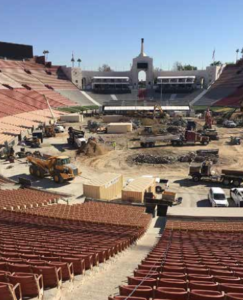 The other wild card in the Coliseum’s future is the Los Angeles bid to host the 2024 Summer Olympics. The city has already done the honors before (1932, 1984) and the Coliseum served as the Olympic Stadium both times; a third time hosting would be unprecedented. 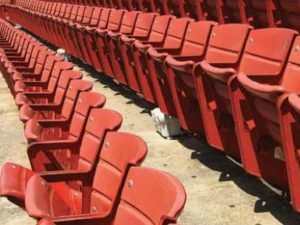 But because of LA’s experience, coupled with plenty of already-built sporting venues to handle a plethora of events and requirements, it was natural for the US Olympic Committee to turn to LA once Boston bailed. The city’s bid includes $300 million for additional renovations to the Coliseum. Rome, Paris and Budapest are also competing to host the games. The winner will be announced by the International Olympic Committee in September 2017. New Report: US Bank Stadium sneak peek, Wi-Fi analytics and more! 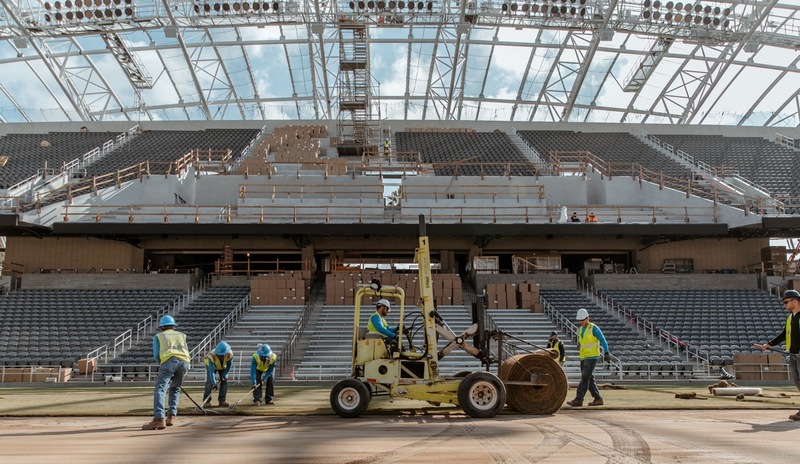 Our newest STADIUM TECH REPORT features a look inside the Minnesota Vikings’ new home, US Bank Stadium, with a sneak peek photo essay ahead of the venue’s August opening dates. Also included in our latest issue is a feature on Wi-Fi analytics, as well as in-depth profiles of technology deployments at the St. Louis Cardinals’ Busch Stadium, and the Buffalo Bills’ Ralph Wilson Stadium. Our Q2 issue for 2016 also has a big focus on DAS deployments, specifically at two venues with extra-large attendance issues — namely, the Kentucky Derby and the Daytona 500. You can get all this analysis and reporting by simply downloading a free copy of the report! From its architecturally striking exterior to its sunny glass-walled interior, US Bank Stadium looks like a jewel for downtown Minneapolis. 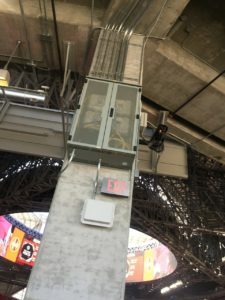 While we’ll have a full report on the technology inside a bit later this summer, you can feast your eyes on what we saw during a hard-hat tour of the stadium in early June. On the Wi-Fi analytics side, you can hear from several leaders in stadium Wi-Fi implementations about how they are using data from their networks to improve the fan experience while also finding new ways to boost their own stadium businesses. Our profiles of Busch Stadium, Ralph Wilson Stadium and a bonus profile of the Los Angeles Coliseum all provide in-depth coverage of the unique challenges each one of these venues faces when it comes to technology deployments. 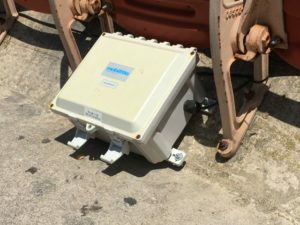 And our DAS-focused coverage of deployments at Churchill Downs and Daytona International Speedway illustrate how expanded cellular coverage can provide enough connectivity when Wi-Fi isn’t an economic option. DOWNLOAD YOUR COPY of the report today and get this knowledge inside your head!